1) Make sure your Side Switch is not on. If it shows orange, this means it is locked/muted, flick it to show no orange. 2) Check that the volume is turned up 3) Check that AirPlay mode has not been accidentally turned on, swipe up from the bottom of the screen. 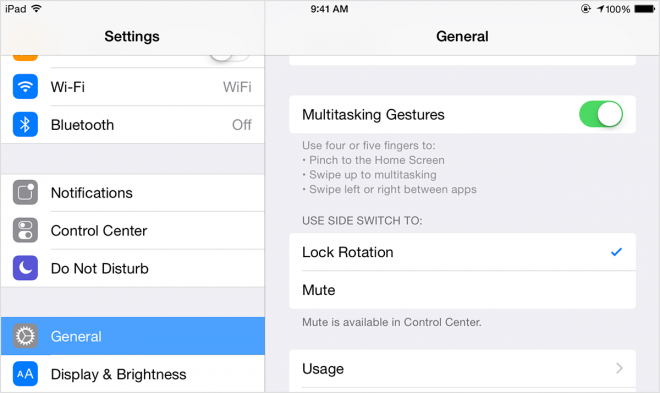 On the iPad, the side switch can either lock the screen rotation, or mute the device. However only some types of apps are muted, video, music and system sounds can still play (see Apple guide to the Side Switch). 4) Go to the iOS Settings > General and under "Use Side Switch To" it will either be Lock Rotation or Mute, this will tell you what your Side Switch is setup to do. 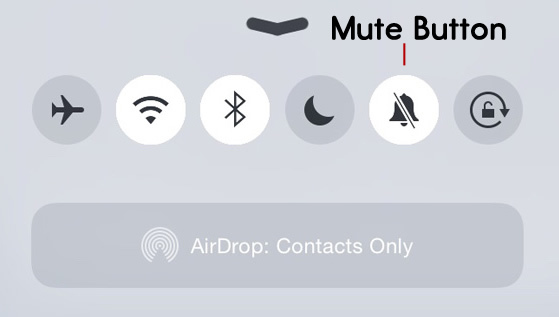 7) Unmute, check volume, check AirPlay and reboot the device. If that doesn't work contact us above.